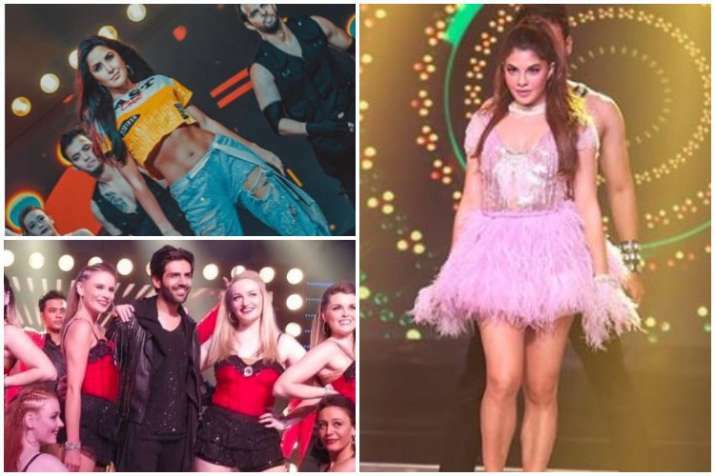 Bollywood celebs left no stone unturned to make the closing ceremony of IPL 2018 a memorable event. IPL 2018 came to an end with Chennai Super Kings led by M S Shoni emerging as the winner. Just before the match, a star-studded ceremony took place which was graced by many Bollywood celebs. From Kartik Aaryan to Katrina Kaif, stars left no stone unturned to make the event memorable. They danced to some of their popular songs. Well, we have come across many videos from the rehearsals. Now, have a look at some pics from the event. Katrina flaunted her well-toned mid-riff and looked drop dead gorgeous in a yellow crop top and a pair of distressed denims. She danced to the beats of Kamli (Dhoom 3) and Swag Se Swagat (Tiger Zinda Hai). This is known to all that she is an amazing dancer. Thus, her performance left people mesmerised. The lady is currently occupied with the work of her upcoming film Zero alongside Shah Rukh Khan and Anushka Sharma. Jacqueline Fernandez, who is gearing up for the release of her upcoming film Race 3, looked vision in white. The lady was all smiles at the event. Her upcoming film Race 3 is all set to hit the screens on June 15. Kartik, who is the new it boy of Bollywood after his film Sonu Ke Titu Ki Sweety did a wonderful collection at the box office, also set the dance floor on fire. With the spectacular performances by the two teams, IPL 2018 is finally over.